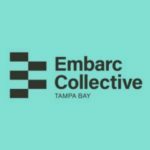 Welcome to our Featured Founder series, where you’ll meet startup founders from Tampa-St. Petersburg who are building and scaling their ventures to solve some of the world’s greatest challenges. 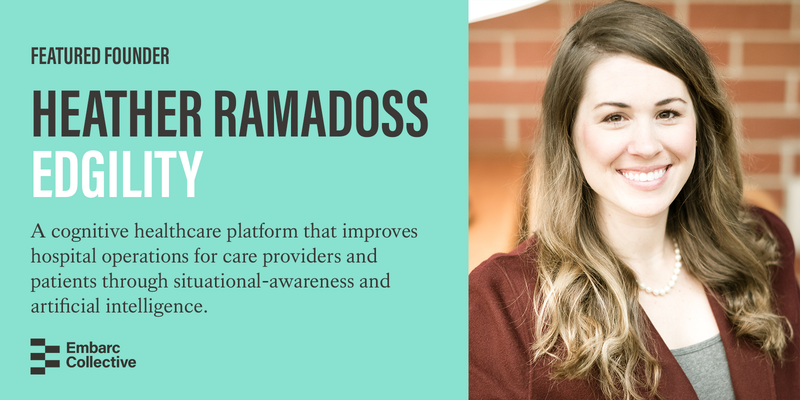 We interviewed Heather Ramadoss, Co-founder of Edgility, a cognitive healthcare platform that improves hospital operations for care providers and patients through situational-awareness and artificial intelligence. I hold years of healthcare technology experience, including many years at Tampa General Hospital and was part of the Cyber-Security team at PwC. I am a Tampa native, a UT Alumni and have a MBA with a focus in entrepreneurship. During my years of healthcare technology experience, recurring patterns of inefficient operation occurred. First, no healthcare operation had an overall awareness of the daily flow of patients and this was hampering improvements. And second, we identified the necessity for removing low value workflows from high value assets like physician and nurses if we wanted to increase capacity and improve outcomes. As a result, in 2016 my husband and I co-founded Edgility. Edgility’s mission is to improve healthcare outcomes for patients, to increase the efficiency and effectiveness of providers and to improve administrator’s ability to manage large and complex ecosystems. These eliminations and enhancements allow providers to Experience the Joy of Practicing MedicineÓ , which is to deliver high-quality patient care and experience. We get excited knowing we can help both physicians and patients have a truly better experience. Edgility’s platform is designed to exploit data collected from existing technologies to create air-traffic-control-like situational awareness for care providers. This is a brand-new technology offering in the healthcare space that challenges conventional wisdom. We focus significant time on educating the market and defining the opportunities situational awareness provides. We see Edgility becoming the category leader for situational awareness in healthcare and beyond. Take your idea and expose it to anyone and everyone. Once you’ve done that, do it again. You’ll soon notice the more people exposed to your ideas, the better the idea becomes. Never forget, what you do may have a profound impact. You will be subject to highs and lows. Accept that. That is now your job. Never stop investing in yourself, in your mental and physical well-being. For a mind that has been stretched by a new experience cannot return to its old dimension. Learn more about Edgility on Twitter, and LinkedIn.